Thrill of the chase. Intellectual satisfaction. Investment. Brain blip. There are nearly as many reasons for collecting things as there are things to collect. But when it comes to watches and writing instruments, a variety of shared motivations, perhaps catalyzed by the obvious common characteristics of the objects themselves, make them conspicuous crossovers for collectors. 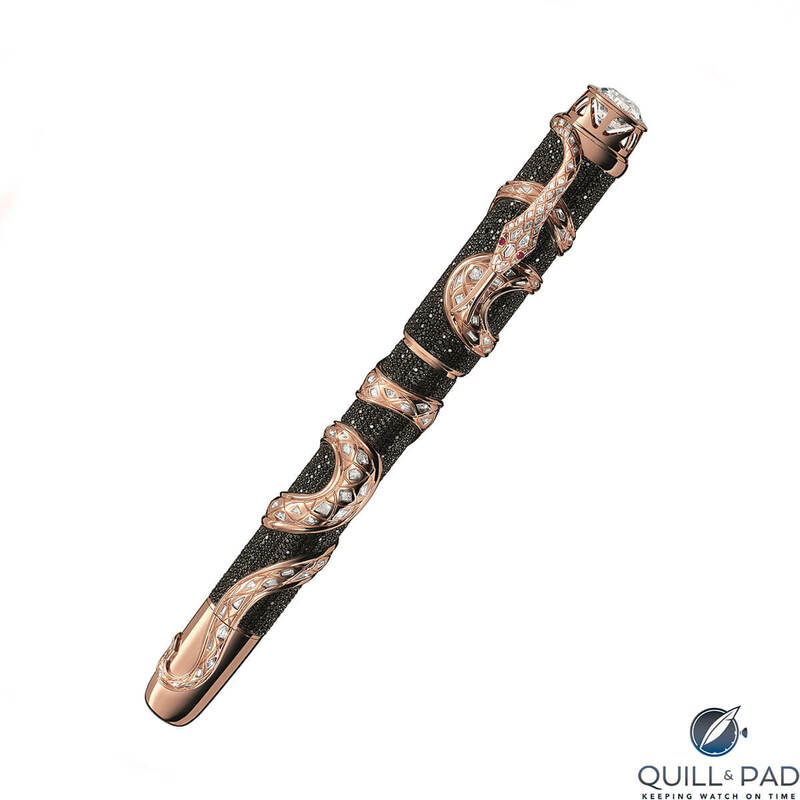 For example, a pen – like a watch – is a relatively small, mechanical object that adds some punch to the somewhat restrained category of “men’s accessories.” Each provides more than a little intellectual stimulation thanks to the respective (and often complex) product catalogs and brand histories, and they can both provide a generous hit of luxury for those so inclined. Then again, maybe you just like them. He adds that he is also “enchanted by [their] micro machinery,” which is a common theme. But not all collectors are after the same prize, leaving lots of room to fulfill every interest, such as provenance (brand or artisan), model series, types of materials, or rarity. The preference for antique or vintage versus new, often considered the “great divide” among collectors, also seriously shapes one’s collection. Most reliable sources agree that a watch 25 years old or older may loosely be considered vintage, though there’s lots of wiggle room and lots of extenuating criteria depending upon the source. Defining “new” is much easier and puts “vintage” into some perspective, if only by determining what it is not. 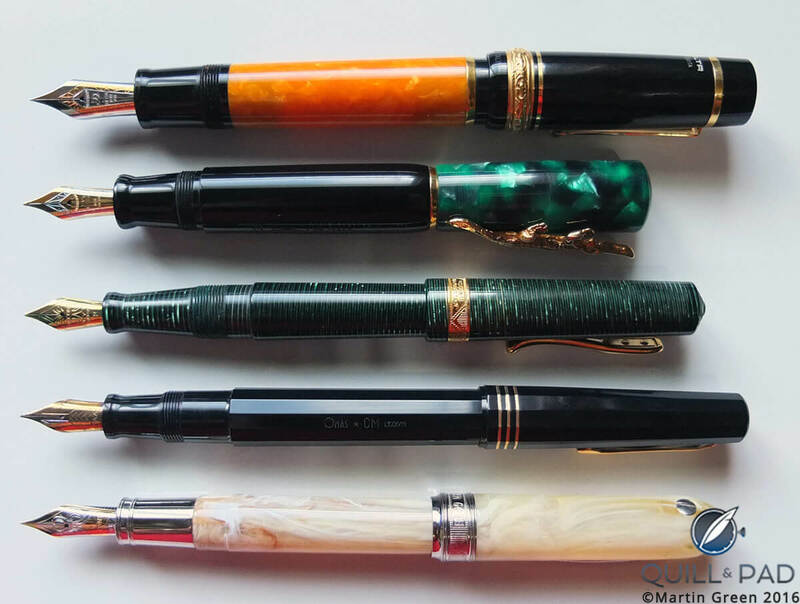 As for pens, the 1920s marks the beginning of what is considered the “golden age of fountain pens,” with some of the most exceptional writing instruments being produced through the 1950s. 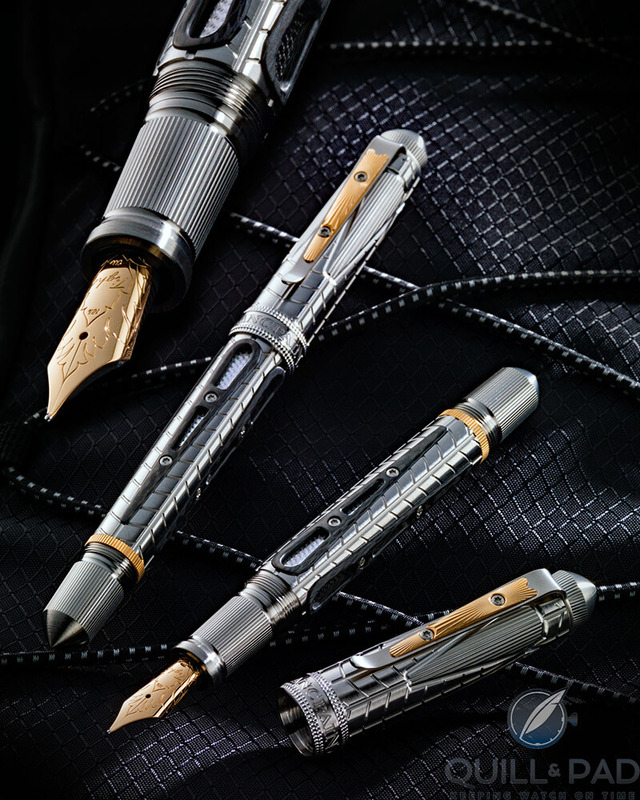 Pens from this era are highly collectible, though a rare, contemporary Montblanc limited edition or a brand-new unique piece by a respected artist is also a notable addition to any collector’s cache. Harrington and Propas both discourage collecting primarily for investment purposes. Some discretionary income, however, is indeed necessary. “My experience is that both hobbies are similar in that collectors often are professionals – doctors, lawyers, engineers, bankers – and successful entrepreneurs,” says Harrington. Which writing instruments are most collectible? Montblanc pens – vintage and new – immediately come to mind. “For every good reason they are the predominant maker of wide variation, historical linkage and association, and they produce value from constructive finish to market demand. Hence, they produce more than a pen,” says Messer. 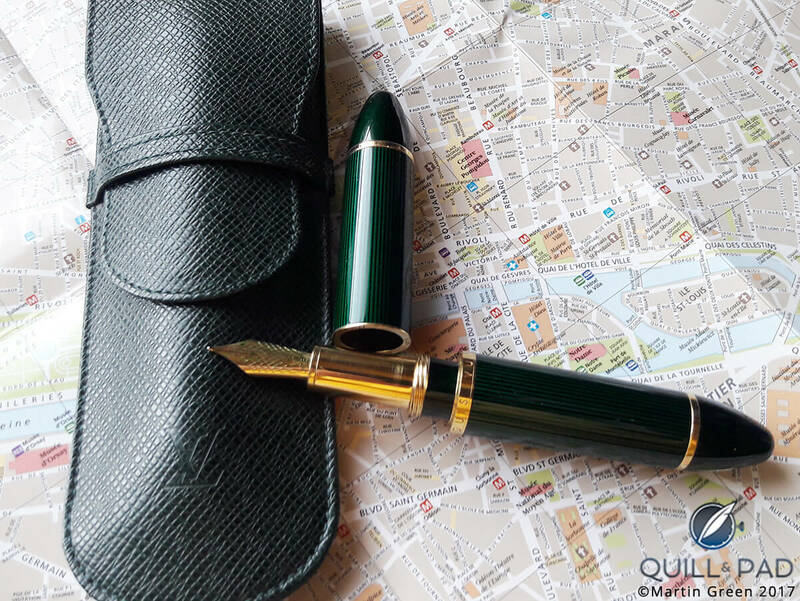 Propas agrees: “Montblanc certainly has name recognition and seems to be the gold standard.” Each adds that there are other brands offering high-quality, collectible writing instruments as well such as Pelikan, Caran d’Ache, Namiki and pens produced by independent artisans, among many others. Not in your price range? “Among vintage watches made in the U.S., and at much lower price levels, there is continuing interest in vintage Illinois, Hamilton (particularly those with unusual shapes like the Ventura), and certain Gruen models,” explains Harrington. Timepieces generally span a higher price range than pens. 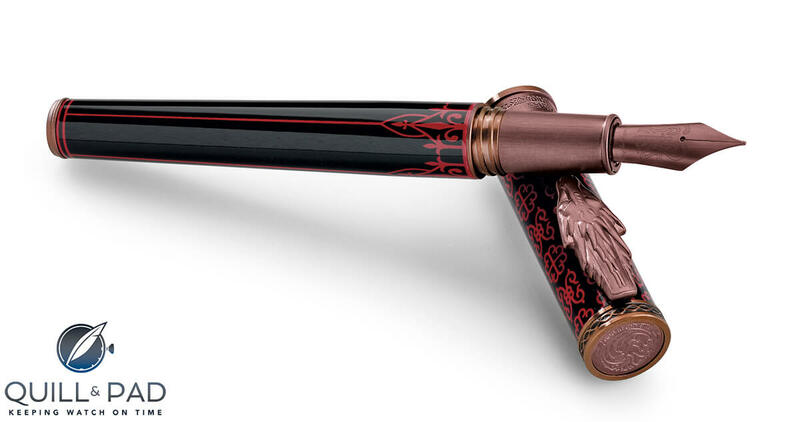 Though a few fountain pens have been produced over the years that have exceeded $1 million at the time of their debuts, this is owed mostly to the expense of their jeweled exteriors. Timepieces, on the other hand, regularly exceed that price point for their mechanics, provenance, or rarity alone. Witness the May 2018 Geneva timepiece auction, wherein Phillips in association with Bacs & Russo announced the record sale of an 18-karat white gold Omega wristwatch owned and worn by Elvis Presley, gifted to him in 1961. It sold for $1,812,318. A rare, signed Dunhill-Namiki Double Dragon Maki-e fountain pen, Emperor size, from the early 1930s, sold at Bonham’s in December 2017 for $225,000. But another important, yet often overlooked, aspect of collecting, I believe, is the social gratification of the “sport.” On any given week, in any given location around the world, pen and watch collectors gather at homes, restaurants, bars, online and, more formally, at regional hobbyist shows to share information, garner feedback and generally commune with like minded souls. After all collection size, auction prices, or the next hot product all pale when compared to the humanity of common interests and goals. The RedBar Group, a worldwide collective of watch enthusiasts who meet on a regular basis to talk and share, was founded in New York City (and has since spread internationally) by Adam Craniotes and Dr. Jeffrey Jacques. I treasure a vintage Rolex and a vintage Mont Blanc. I am vintage so I am the original owner of each. I will leave them to grand kids. I have a big red Parker that was my grand fathers too. This is what a life well lived is about. I agree. It’s wonderful to have interests, such as collecting pens and watches, that offer such gratification. So excited to read all the stories. I find them all fascinating! I love writing and use snail mail for correspondence. I practice my hand writing every day. I collect fountain pens and have several, nothing too expensive but ones I like. I do however find it difficult to find lovely writing paper and envelopes that doesn’t “feather”. I have been asked by a customer service person, when I asked about “feathering” writing paper, “what’s a fountain pen?” How sad! Screw The Science And Buy Luxury Watches!